On 8 Nov 1998 I met Patti Smith & bought her new lyrics book, Patti Smith Complete. I was just getting to know her. She already felt like a close friend, a sister to me. When I got home I opened the book and was surprised to find her writing about Maria Callas in her introduction. 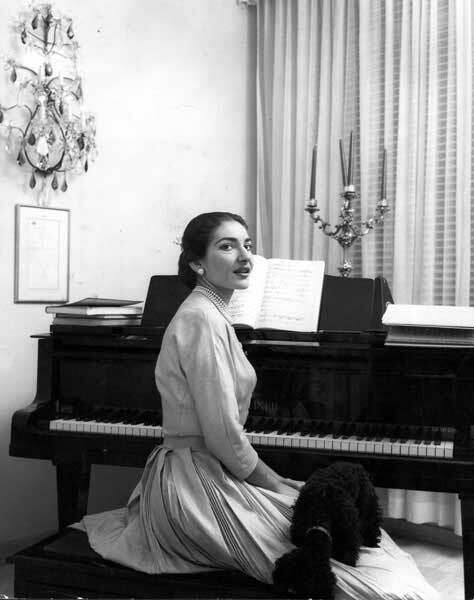 The image of an elegant Callas sitting at her piano at home was on the next page in the book. Oddly, this told me that I had a lot to learn about Patti Smith! Callas was born in 1923, more than twenty years before Patti or myself and she had been gone for more than two decades when I got the book. Of course, I knew who Callas was, but I had no recollection of having ever seen her perform. But I made a mental note to be open to exploring her work when the right time came. It came today, when I saw a video of her singing Tosca. It was obvious why Callas had been a big influence in Patti’s early life. She performed exactly the way Patti had described her. My thanks to the one who provided me with that link.